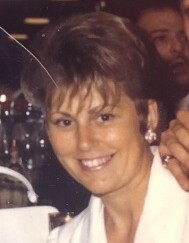 Troy- Shirley Ann “Byo” Colarusso, a long-time resident of Troy, NY, passed away peacefully with family by her side on Sunday, March 31, 2019. Born in Troy, NY on March 5, 1935, she was the daughter of Chester Ferdinand Baker and Catherine “Kay” Quell. Shirley was an avid dog lover, reader, and foodie. She was also known as the “movie buff”. She was predeceased by her husband Michael “Mickey Cog” Colarusso after 48 years of marriage, and her beloved son Scott W. Colarusso. She had many dear friends, to include her predeceased friend of 65 years, Joyce Ziter, and predeceased adopted grandson Christopher (CMS III) Sifka. Known as Byo to her family and many friends, she was an incredibly loving and devoted mother and grandmother. Byo is survived by her children, Teri-Kay Colarusso (Axel Herrmannsdoerfer), Tracee Colarusso (Tony Ragosta), and Michael (Karen) Colarusso, her grandchildren Kay-Leigh Stacy, Tori Colarusso (Hugh Tripoli), Jamie Stacy (Peter Sahajian), Bella Colarusso, and Julie Herrmannsdoerfer, and adopted grandchildren Chris and Jenn Sifka, Alex Huber, and Matthew “Matty” Sifka, as well as many dear friends and loved ones. A Funeral mass will be celebrated 10:30 am on Thursday, April 4, 2019 at Sacred Heart Church, 310 Spring Avenue, Troy. Entombment will follow at St. Mary’s Cemetery, Troy. Shirley was a consistent supporter of ASPCA, donating into the last months of her life. In lieu of flowers, donations can be made in her name to the American Society for the Prevention of Cruelty to Animals at https://secure.aspca.org/donate/donate.